Shri Rawatpura Sarkar Institute of Pharmacy, Kumhari, Durg - 490042, Chhattisgarh, India. ABSTRACT: The aim of the present investigation was to enhance the dissolution of poorly water-soluble drug Ramipril (BCS - II) drug through Liquisolid compact. The liquisolid compacts were prepared with a varied quantity of liquid and powder ingredients using microcrystalline cellulose as a carrier, Aerosil 200 as a coating material, polyethylene glycol 400, propylene glycol and tween-80 as liquid vehicles, HPMC as additives to increase loading capacity. The required quantities of ingredients for the compressible admixture were calculated using various mathematical models. The in-vitro release characteristics of different dissolution conditions were performed. All formulated systems were assessed for precompression parameters like flow properties, FTIR analysis, X-ray diffraction (XRD), differential scanning calorimetry (DSC), and post-compression parameters like content uniformity, weight variation, hardness, friability, disintegration test, wetting time and in-vitro dissolution studies. As liquisolid compacts demonstrated significantly higher drug release rates, thereby indicating a promising strategy in improving the dissolution of poorly water-soluble drugs and formulating immediate release solid dosage forms. INTRODUCTION: The poor dissolution of water-insoluble drugs is a foremost problem for the bioavailability of drug which decreases the therapeutic efficacy of drug 1, 2. Preparation of liquisolid systems (LSS) is a novel technique for improving solubility, dissolution, and bioavailability of such drugs. The fundamental of Liquisolid system preparation lies in the transformation of the drug in a liquid state into a dry powder by its absorption of these drug into suitable excipient such as microcrystalline cellulose, then coated with a material having high absorption capacity such as silicon dioxide commonly known as colloidal silica. To treat hypertension and congestive heart failure an angiotensin-converting enzyme (ACE) inhibitor Ramipril is used. Ramipril relaxing arterial muscles and enlarging the arteries by reducing the production of angiotensin II, as a result of the heart pump blood more easily, and increased blood flow due to enlarging the arteries 6. Ramipril is a prodrug and is converted to the active metabolite ramiprilat by liver esterase enzymes. It is mainly used for hypertension 9. The oral absorption of Ramipril is slow, due to poor water soluble. Hence, it is necessary to improve the dissolution rate of Ramipril to enhance the disso­lution rate of Ramipril formulated liquisolid compacts of Ramipril. The use of novel porous carriers such as microcrystalline cellulose as a carrier (Avicel PH 102) for an increased loading capacity of nonvolatile solvent along with the drug, so that liquisolid compact of high dose poorly water-insoluble drug Ramipril can be formulated. The prepared formulations were character­ized and compared with the directly compressible tablet (DCT) of Ramipril 10. Theoretical Aspects: In the fundamental studies made by Spireas et al., 11, 12 flow and compression issue have been addressed with the use of the new mathematical model of liquisolid system which is based on the flowable (𝜙-value) and compressible (𝜓 -number) liquid retention potentials of the constituents powder. The smaller particle size and larger surface area provide bethe st flow and compression properties of the liquisolid system. Depending on the excipients ratio (R) or the carrier: coating ratio of the powder system used, the carrier (Q) and coating (q) powder materials can retain a specific amount of liquid while maintaining acceptable flow and compression properties. Where: R represents the ratio between the weights of the carrier (Q) and coating (q) materials present in the formulation. As from equation (3), liquid retention potential of carrier material 𝜙ca and liquid retention potential of coating material 𝜙co are constants, so in order to determine the liquid load factor Lf, carrier and coating material ratio using lithe nier relationship between Lf versus 1/R. MATERIALS AND METHODS: Ramipril was obtained as a gift sample from Cadila Pharmaceuticals Ltd., Ahmadabad. Aerosil 200 was procured from Research Lab, Avicel PH 102 and Propylene Glycols were purchased from Loba Chemicals, Mumbai, Polyethylene Glycol 400, Tween 80, and Sodium Starch Glycolate was purchased from Merck. All chemicals and reagent used were of analytical grade. Preparation of Liquisolid Compacts: Ramipril liquisolid systems were prepared and compressed into tablets of 20 mg strength each, using a single punching machine with the aim of the desired hardness of 3-6 kg/cm2. All liquisolid formulations contained microcrystalline cellulose as the carrier powder and silica as the coating material at a fixed powder excipient ratio (R) of 20. As a liquid vehicle Propylene Glycol was used to prepare the drug solution in different drug concentrations 10 to 20% w/w, included in the formulations F-1 to F-3. On the other hand, PEG 400 was used as the liquid vehicle in the formulations F-4 to F-6, and similarly, Tween 80 was used as the liquid vehicle in the formulations F-7 to F-9 with similar drug concentration. Depending on the liquid vehicle and drug concentration in the liquid medication used, different liquid load factors (Lf) ranging from 0.133 to 0.294 (w/w) were employed in liquisolid preparations. Finally, 5% (w/w) Sodium Starch Glycolate was added as disintegrant into all prepared liquisolid system. In Table 1 Concentration of formulations (F1-F9) of Ramipril liquisolid compacts is shown. W-weight of liquid medication (drug + liquid vehicle); Lf-liquid load factor; Q-weight of carrier material; q-weight of coating material; R-carrier: coating ratio; F1-F9: Formulations using Avicel. An appropriate amount of liquid medication containing 10 mg of drug was incorporated in each tablet. Excipient ration (R) equal to 20 in each formulation. Amount of carrier (Q) material. Amount of coating (q) material. Liquid load factor is defined as Lf = W/q. The fraction (FM ) of the molecularly dispersed drug was calculated by (7). Determination of the Angle of Slide for Aerosil 200: The angle of the slide is used as a measure of flow properties of powders. Two grams of Aerosil 200 were weighed accurately and placed at one end of an aluminum metal plate with a polished surface. This end was raised gradually until the plate made an angle θ with the horizontal at which the powder was about to slide. This angle θ represented the angle of slide. The angle of slide corresponding to 33° considered as optimal flow properties 16. The graph plotted against between 𝜙–value and cthe orresponding angle of slide of material which represented the flowable liquid retention potential of Aerosil 17. According to Tayel et al., in PEG 400, the 𝜙 –value is 0.137 for Avicel PH 102 and 2.76 for Aerosil 200. And for propylene glycol, the 𝜙–value is 0.262 for Avicel PH 102 and 5.20 for Aerosil 200, thus showing no need to determine it practically. The liquid load factor for PG and PEG 400 liquisolid system was calculated from flowable liquid retention potential using R value (excipient ratio) of 20, which shown is as follows 18. Flow Properties of Liquisolid System: The flow properties of liquisolid system were estimated by the angle of repose, Carr’s index, and Hausner’s ratio provide the information about flow properties of liquisolid system. Fixed funnel method was used to the measured angle of repose. The bulk density and tapped densities were determined for the calculation of Hausner’s ratio and Carr’s index 19, 20. The angle or the critical angle of repose is a suitable measure to determine the angle of internal friction of less cohesive bulk materials and the size of particles is the same. It is the perpendicular angle of descent concerning the horizontal plane. The range of the angle is 0°-90°. The height of the “funnel” by which the material pass may be permanent relative to the bottom. The bottom on which the pile forms may be of a fixed diameter or the diameter of the powder cone may be allowed to vary as the pile forms. Differential Scanning Calorimetry (DSC): Thermo-grams of the pure Ramipril and liquisolid system were recorded on a DSC. The thermal behavior of the samples was investigated at a scanning rate of 10⁰C/min, covering a temperature range of 40 - 2600 ºC 24, 25. Estimation of Fraction of Molecularly Dispersed Drug in Liquid Medication: The fraction (FM) of the dissolved or molecularly dispersed drug in the liquid medication is the ratio of the drug’s saturation solubility (CL) in the liquid vehicle Table 2 over the drug concentration (Cd) in the liquid medication 26. The value of the fraction of the molecularly dispersed drug FM Table 1 in any system cannot exceed unity. Content Uniformity: In uniformity of drug content 10 tablets from each batch were taken randomly to examine its content uniformity. Each tablet was weighed and crushed individually. The crushed tablet powders were dissolved in methanol. The solution was filtered using Whatman filter paper. The drug content was measured using a UV spectrophotometer (UV-1800 Shimadzu) at 210 nm. According to the British Pharmacopoeia, the percentages drug content of the individual was calculated against the average drug content 27, 20. Weight Variation: The weight variation test was performed on 20 tablets of liquisolid compacts as per British Pharmacopoeia 28, 29. Disintegration Test: The disintegration test was performed at 37 ± 1 °C in distilled water for six tablets from each formulation using the tablet disintegration unit. The tablets were considered completely disintegrated as no residue remains on the screen. The desired hardness of tablet should be produced with low compression forces so that the compressed tablet allow rapid disintegration and drug dissolution at the same time 31. Wetting Time: The degree of wetting (wettability) is determined by a force balance between adhesive and cohesive forces. Wetting is an important step in the disintegration process to take place. A piece of tissue paper folded double was placed in a Petri dish containing 6 mL of water. The tablet was placed on the paper, and the time for complete wetting of the tablet was measured in seconds 31. In-vitro Dissolution Studies: In-vitro dissolution profile from liquisolid compacts and directly compressed tablets were obtained using dissolution test apparatus USP-I. The dissolution studies were carried out in 900 ml, of 0.1 N HCl and distilled water as the dissolution medium at 37 °C ± 1 °C and 50 rpm. Then, 5 ml samples were collected for up to 60 min at 5 min intervals up to 30 min and 15 min intervals from 30 to 60 min. The dissolution medium was replaced with 5 ml of fresh dissolution fluid to maintain the sink condition. The withdrawn samples were filtered and analyzed spectrophoto-metrically at 210 nm 32, 33. Solubility Study: Beer’s law was obeyed by all the standard curves of our Ramipril solution which were linear in the concentration range, that is, from 1 to 10 µg/ml. The solubility of Ramipril in propylene glycol, polyethylene glycol 400, and polysorbate-80 (Tween 80) determined in these studies are shown in Table 2. Flow Properties of the Ramipril Liquisolid System: The flow characteristics of the liquisolid powder system are affected by physicochemical and environmental factors. Therefore, different flow properties were employed. 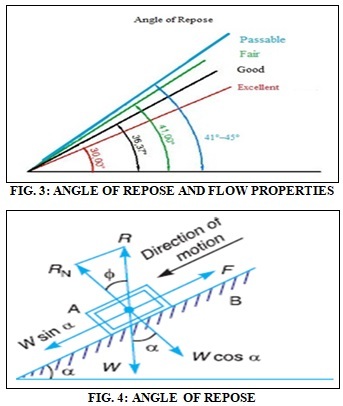 As the angle of repose (𝜃) is a characteristic of the internal friction or cohesion of the particles, the value of the angle of repose will be high if the powder is cohesive and low if the powder is non cohesive. F-1 shows a good flow property with 𝜃 value of 28.61 and is considered as a liquisolid system with acceptable flowability. Carr’s index up to 16 was considered acceptable as a flow property. Hausner’s ratio was related to the inter-particle friction; powders with a low inter-particle friction had a ratio of approximately 1.25 indicating a good flow. On the basis of precompression studies of the formulation F-1 with Carr’s index of 14.52 and Hausner’s ratio of 1.17 was considered for further study and results of all batches of Ramipril liquisolid compacts are shown in Table 3. IR Spectra Analysis: Samples of Aerosil 200, Avicel PH-102, pure Ramipril, and liquisolid system (F-1) were subjected to FT-IR spectroscopic analysis, and their spectra at 500 - 4000 cm−1 is shown in Fig. 5. Characteristics peaks of aromatic N-H stretching and C=O stretching at 3285.05 cm−1 and 1549.26 cm−1 appeared, respectively. A reduction in the intensity of the characteristics absorption bands of Ramipril was observed in the liquisolid formulation, which might be attributed to the hydrogen bonding interaction between the carboxylic group of Ramipril and the hydroxyl group of the liquid vehicles; this resulted in drug dissolution enhancement. All the reference peaks which are observed in the IR spectrum of Ramipril were also observed in the IR spectrum of Ramipril liquisolid compact formulation in Fig. 5 & 6. It was found that Ramipril was compatible with a solid carrier material (MCC) and coating material (Aerosil 200) used in the formulation and there were no extra peaks observed. The possible interaction between a drug entity and excipient in liquisolid compact was determined by DSC. Fig. 5 shows the thermal behavior of the pure component and the thermal behavior of the formulated liquisolid system. Pure Ramipril shows two characteristic peaks at 110.03 ºC it is a primary indication for crystalline nature of the pure drug. Furthermore, the thermal behavior of liquisolid system (F-1) shows the shifting of the peak at 118.04 ºC. It indicates that the crystalline nature of drug gets completely converted into amorphous form due to which there is a significant change in the endothermic peak of the formed liquisolid system. Content Uniformity: The weight uniformity test of all the prepared liquisolid compact of Ramipril and conventional tablets complied with the British Pharmacopoeia (BP); and also, all the tablets had met content uniformity criteria, as per BP, in which drug content was found between 96.10% and 99.05% of the average content. Friability, Weight Variation, and Fraction of Molecularly Dispersed Drug (FM): All the liquisolid compact of Ramipril reveals the satisfactory friability. The % of weight variation did not exceed 1% of the tablet weight, and no tablet was broken or collapsed. All the prepared formulation is expected to show adequate toughness and resist abrasion during handling. All the prepared batches had a hardness in the range 3.7-5.3 kg/cm2. Generally, the ideal tablet hardness should be produced without applying excessive compression force where rapid tablet disintegration and drug dissolution are maintained at the same time 28. Also, the batches passed the USP weight variation test. All the prepared batches had a disintegration time in range 1 to 5 min. The batches prepared with increasing drug concentration exhibited an increasing disintegration time. Determination of FM value of each prepared liquisolid of Ramipril was calculated, the liquid vehicle is not used in the case of directly compressed tablets which contain pure Ramipril powder. The result of friability, hardness, weight variation, disintegration time, and a fraction of molecularly dispersed drug (FM) for all the formulation of liquisolid compacts of Ramipril are shown in Table 4 & 1. Wetting Time: The internal structures are responsible for wetting behavior of the tablet as well as hydrophilicity of the powder excipient also affect the wetting time. A relationship between wetting time and disintegration time should be linear for liquisolid compacts. The wetting time of liquisolid system (F-1) was found to be 15-18 sec as compared to the conventional tablet which showed wetting time as 32-37 sec. In-vitro Dissolution Studies: The liquisolid tablets demonstrated significantly improved drug dissolution properties. It seems that the drug dissolution rate of liquisolid compacts is significantly faster than conventional tablets. According to the “diffusion layer model” dissolution theories, the dissolution rate of a drug is directly proportional to its concentration gradient (ΔC = Cs - C) in the stagnant diffusion layer formed by the dissolving liquid around the drug particles. Fig. 6 and 7 showed the dissolution profile of liquisolid compact of F-1 to F-9 with a directly compressible tablet (DCT) in 0.1 N HCl. Liquisolid compact F-1 produced a higher dissolution in 0.1 N HCl in comparison to a conventional tablet. The drug release from conventional Ramipril tablet as shown in Fig. 7 was very poor. Only 39.29% dissolution enhancement of such poorly soluble drug was carried out by formulating liquisolid compacts. Among the ten formulations, F-1 has maximum dis­solution rate. It shows 42.34% percentage drug release in the first 15 min and 99.4% release in 90 min. From F-1 to F-3 (drug conc. 10, 15 & 20% w/w respectively), to F4 to F6 (drug conc. 10, 15 & 20% w/w respectively) and F7 to F9 (drug conc. 10, 15 & 20% w/w respectively) we can see that the dissolution rate gradually decreases. From the above results, it is clear that as we increase the amount of liquid vehicle as calculated from the mathematical model, there is an increase in the dissolution rate of the drug. It is because of the increase in the surface area of the drug for dissolution, increased aqueous solubility, and increased wetting property of the drug. The data were processed for regression analysis using MS-EXCEL statistical functions. Evaluation of release kinetics and application of the best fit by correlation coefficient show that the drug release follows first order kinetics. This technology may be used industrially in future for conversion of solution or suspension of the poorly-water soluble drug into a more stable solid dosage form. CONCLUSION: The overall objective of the present study was to enhance the dissolution of poorly water-soluble Ramipril by liquisolid compact technique. The liquisolid tablets formulated with the PEG-400 at drug concentrations of 10% w/w are the best formulation among all the batches of liquisolid tablets prepared, regarding faster disintegration time, superior dissolution profile, and acceptable tablet properties. PEG-400 was found to be a promising liquid vehicle in formulating liquisolid compacts of Ramipril.Furthermore, the interaction study done through DSC confirmed that there is no interaction between Drug and PEG-400. The liquid vehicle plays a contributing role in improving the dissolution profiles of a poorly water-soluble drug in the liquisolid compacts. The key step in formulating a successful liquisolid tablet is the determination of the optimal flowable liquid retention potential (𝜙-value) utilizing various mathematical model. This technology may be used industrially for conversion of solution or suspension of poorly water soluble drug into more stable solid dosage form. ACKNOWLEDGEMENT: We are thankful to Shri Rawatpura Sarkar Institute of Pharmacy for providing laboratory facilities to carry out research work. Ashwini A, Garud and Shahal RR: Formulation and optimization of liquisolid tablets of olmesartan medoxomil using 32 factorial design. Inte Jou of Pharm Sci and Res2017; 8(11): 4682-4693. Siju VV and Soniwala M: Review on the development of liquisolid compact using an experimental International Journal of Pharmaceutical Sciences Review and Research 2017; 43(1): 173-177. Spireas S and Bolton SM: Liquisolid system and methods of preparing same. United States patent US 1998; 5,800,834. Gupta AK and Sehrawat SK: Bioavailability enhancement of poorly water-soluble drugs: A Review. International Journal of Pharmacy & Life Sciences 2011; 2(3): 640-650. Vemula SK and Katkum R: Liquisolid Compact Technique for Improvement of the Dissolution Rate of Flurbiprofen: Formulation and Evaluation. Journal of Drug Research and Development 2015; 1(1): 1-5. Patel DS, Pipaliya RM and Surti N: Liquisolid tablets for dissolution enhancement of a hypolipidemic drug. Indian Journal of Pharmaceutical Sciences 2015; 77(3): 290-298. 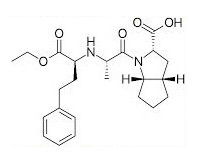 Kapure VJ, Pande VV and Deshmukh PK: Dissolution Enhancement of Rosuvastatin Calcium by Liquisolid Compact Technique. Journal of Pharmaceutics 2013; Article ID 315902, 9. Arun RR, Ahammed SK and Harindran J: Formulation and Evaluation of Liquisolid Tablets of Nifedipine. RGUHS Journal of Pharmaceutical Sciences 2013; 3(4): 43-50. Iftequar S, Saifee M, Swaroop L, Zaheer Z, Meraj S, Khan F, Khan S, Yasar Q and Abdulla S: Formulation and evaluation of floating drug delivery system of ramipril. Journal of Innovations in Pharmaceuticals and Biological Sciences 2016; 3(1): 85-95. Geethika G, Rao SK, Babu BR, Babu KK, Mamatha M, Murali and Bhagyaraju V: Liquisolid compact technology: a review. Indo American Journal of Pharmaceutical Sciences 2015; 2(3): 684-691. Spireas S and Sadu S: Enhancement of prednisolone dissolution properties using liquisolid Inter-national Journal of Pharmaceutics 1998; 166(2): 177-188. Martinez MN and Amidonet GL: A mechanistic approach to understanding the factors affecting drug absorption: a review of fundamentals. Journal of Clinical Pharmacology 2002; 42(6): 620-643. Tiong N and Elkordy AA: Effects of liquisolid formulations on dissolution of naproxen. European Journal of Pharma and Biopharmaceutics 2009; 73(3): 373-384. Fahmy RH and Kassem MA: Enhancement of famotidine dissolution rate through liquisolid tablets formulation: In-vitro and in-vivo European Journal of Pharma-ceutics and Biopharmaceutics 2008; 69(3): 993-1003. Dias RJ, Mali KK, Ghorpade VS, Havaldar VD and Mohite VR: Formulation and evaluation of carbamazepine liquisolid compacts using novel carriers. Indian Journal of Pharmaceutical Education and Res 2017; 51(2s): S69-S78. Jassim ZE: Formulation and evaluation of furosemide liquisolid International Journal of Applied Pharmaceutics 2017; 9(6): 39-48. Garud AA and Shah RR: Formulation and optimization of liquisolid tablets of olmesartan medoxomil using 32 factorial design. International Journal of Pharmaceutical Sciences and Research 2017; 8(11): 4682-4693. 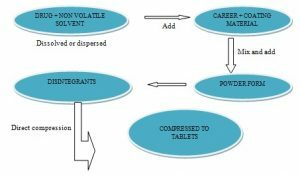 Jamakandi VG, Kerur SS and Patil US: Formulation and evaluation of immediate release tablet of carvedilol using liquisolid compacts technique for solubility enhancement. Asian Journal of Pharmaceutics 2016; 10(3): S324. Dhiya R, Altememy J and Altememy JJ: Formulation and evaluation of meloxicam liquisolid International Journal of Pharmacy and Pharmaceutical Sciences 2014; 6(10): 454-463. Bhairav BA, Jadhav MS and Saudagar RB: Formulation and evaluation of liquisolid tablet of felodipine. World Journal of Pharmacy and Pharmaceutical Sciences 2016; 5(7): 1670-1685. Mistry R, Dalal C and Soni T: Determination of angle of repose of pharmaceutical materials based on image processing using labview. International Journal of Advanced Research in Electrical, Electronics and Instrumentation Engineering 2017; 6(3): 1125-1131. Asija R, Asija S, Gupta A, Prakashchand D and Goyal G: Formulation and evaluation of pulsatile tablet of Ramipril. Journal of Chemical and Pharmaceutical Research 2015; 7(2): 789-797. Reddy BV and Navaneetha K: Formulation and Evaluation of Sustain Release Tablets of Ramipril. Pharma Tutor Magazine 2014; 2(7): 110-119. Jagdale SC, Dangat YT and Kuchekar BS: Solubility enhancement and formulation of buccal patches of ramipril cyclodextrin complex. 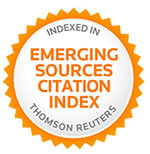 Asian Journal of Pharmaceutical and Clinical Research 2013; 6(2): 83-90. Bagde SB, Bakde BV, Channawar MA and Chandewar AV: Formulation and evaluation of bilayer tablet of metoprolol succinate and Ramipril. International Journal of Pharmacy and Pharma Sciences 2011; 3(4): 174-178. Tayel SA, Soliman II and Louis D: Improvement of dissolution properties of Carbamazepine through the application of the liquisolid tablet technique. European Journal of Pharmaceutics and Biopharmaceutics 2008; 69(1): 342–347. Ashokbhai MK and Seresiya T: Formulation, optimization and evaluation of liquisolid tablets containing tadalafil. 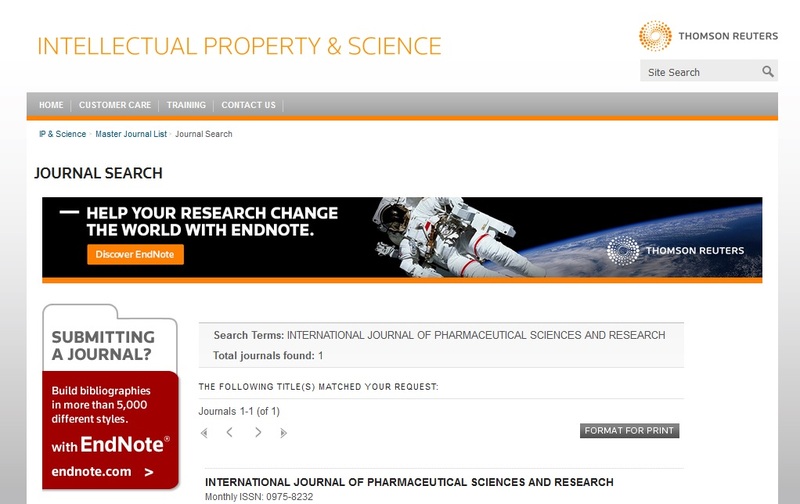 International Journal of Pharma Sciences and Research 2015; 6(6): 991-1001. Chander H, Kumar S and Bhatt B: Formulation and evaluation of fast dissolving tablet of Ramipril. Pelagia Research Library 2011; 2(6): 163-170. Kumar S, Agnihotri R: In-vitro evaluation of two marketed brands of Paracetamol tablets using quality control test. International Journal of Pharmaceutical Sciences and Research 2012; 3(9): 3337-3341. Kumar JNS and Gunda RK: Design, formulation and evaluation of pravastatin fast dissolving tablets. Pharmaceutical Methods 2018; 9(1): 16-23. Rajesh K, Rajalakshmi R, Umamaheswari J and Kumar ACK: Liquisolid technique a novel approach to enhance solubility and bioavailability. International Journal of Biopharmaceutics 2011; 2(1): 8-13. 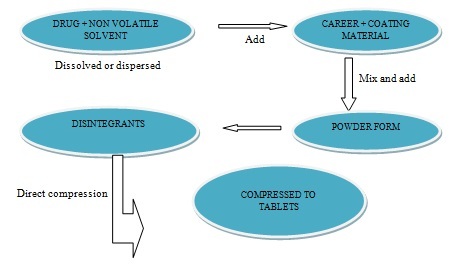 Mallick S, Pradhan SK, Chandran M, Acharya M, Digdarsini T and Mohapatra R: Study of particle rearrangement, compression behavior and dissolution properties after melt dispersion of ibuprofen, Avicel and Aerosil. Results in Pharma Sciences 2011; 1(1): 1-10. Suryawanshi VK, Gidwani B, Verma A, Dubey N and Kaur CD: Formulation and evaluation of ramipril liquisolid compact using novel carrier. Int J Pharm Sci & Res 2019; 10(2): 917-25. doi: 10.13040/IJPSR.0975-8232.10(2).917-25.